Develop your skills in linocut by using the reduction method to create some exciting 2 layer prints. You will be guided through the process in our professional Print Studio in a step-by-step way and will learn how to design, register and print multiple colours. You’ll use oil based inks and our traditional Albion press to create an edition of prints onto A4 paper. Contact our reception team now with any questions you have about our workshops. This course is an ideal follow on for people who may have attended one of our Introduction to Printmaking courses or someone who wishes to develop their existing relief printing skills. 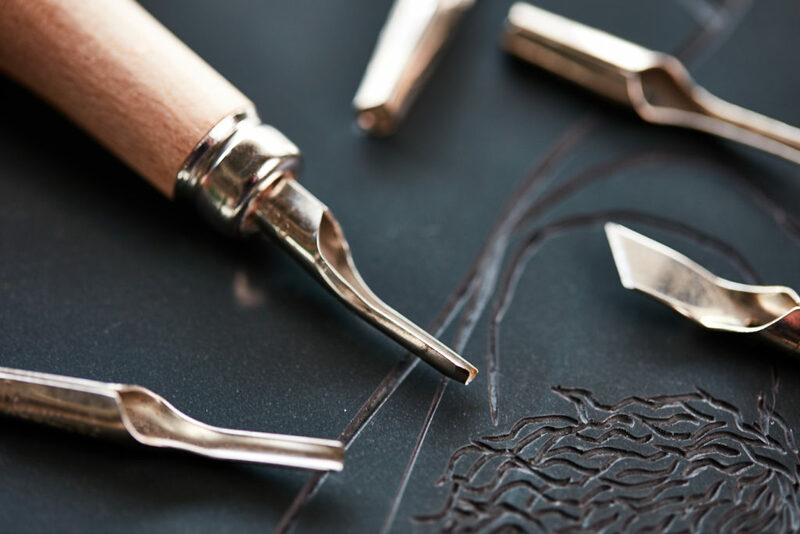 All materials and equipment will be provided including a piece of soft cut lino, lino cutting tools, oil based inks and A4 cartridge paper. You may wish to bring some images, books or printouts with you for inspiration. You will be shown lots of examples of linocut at the start of the course.